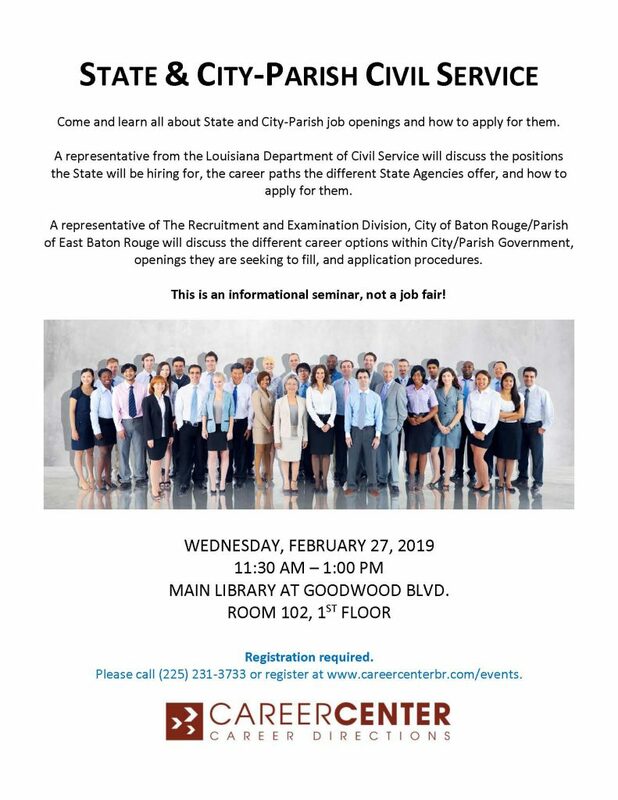 If you’re interested in getting a civil service job with the state or city-parish government, you won’t want to miss this seminar. Our panel will feature a representative from the Louisiana State Department of Civil Service, as well as a representative from the City of Baton Rouge/Parish of EBR Recruitment Division. Each of them will discuss the types of career paths offered within their organization, the openings they’re seeking to fill at the moment, and the proper procedures for applying. Please note that this is an informational seminar, not a job fair. To register, please call the Career Center at (225) 231-3733, or visit their website.